Currently, there is good news for Biafrans emanating from Turkey, the Asian country beside the Aegean Sea. It is the news that officials of Turkey now leave Biafrans alone as they deport Nigerians from their country. This situation came about few days ago when Coordinator of Indigenous People of Biafra (IPOB) in the country, who did not want his name in print, approached Turkey officials on the matter deportation of Biafrans alongside Nigerians. There, he explained to them that the status of Biafrans were different from that of Nigerians, being stateless persons that were not happy being called Nigerians. The Coordinator, who is a prominent and influential individual in the area of the country he was residing, convinced the Turkey officials that their land (Biafraland) has been under occupation by Nigeria by force of arms since 1970. He therefore informed them that it would be unfair and unjust to punish Biafrans alongside Nigerians for atrocities committed by evil Nigerian government and its functionaries. 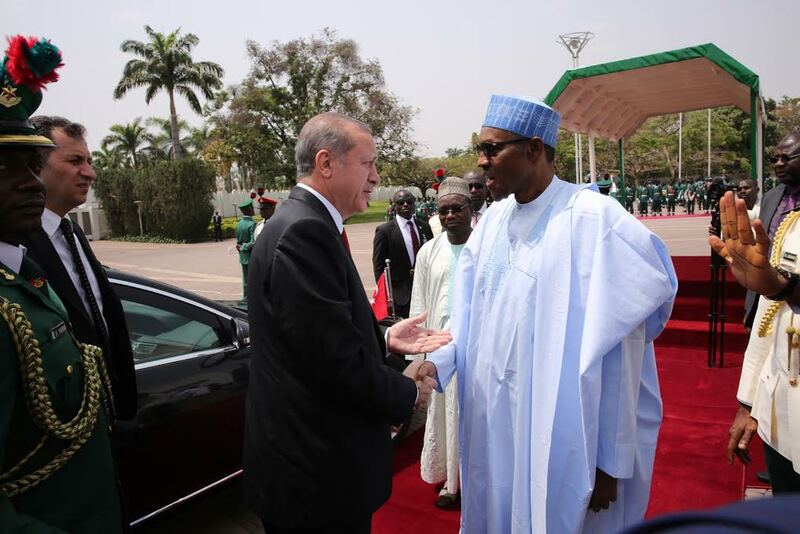 After all the information were shared; after realizing that Biafrans were different from Nigerians; and after learning that Biafrans were seriously working to exit from Nigeria, the Turkey officials have since decided to no longer deport Biafrans as Nigerians. Interestingly, as Nigerians in Turkey observed what was going on, they have started claiming to be Biafrans. Every time anyone of them runs fowl of the law, (especially when orders for their deportation are given) they claim to be Biafrans and not Nigerians. Turkish officials, having realized this, resorted to having the Biafran Coordinator clear anyone that claims to be Biafran. The Coordinator has been doing this by having every one of them to speak any Biafran language they know. Furthermore, he has been advised to give Biafran Identity Card to Biafrans to stop impersonators. Trouble started for the Nigerians when it was discovered that their President, Muhammadu Buhari, played prominent roles in the failed coup d’état of July 15 in Turkey. Buhari was discovered to have transferred funds to the coupists from a Nigerian bank, as well as helped with logistics and planning of the coup. As a result of Buhari’s culpability, President of Turkey, Recep Tayyip Erdogan, was livid with rage when he found out. He then gave instructions for all Nigerians to be deported back to their accursed land. That has been going on for quite sometimes, even with Biafrans being deported alongside until IPOB leadership decided to meet with Turkish officials and set the record straight. This is the situation and the good news that is making many Biafrans in Turkey move around with their heads held high. Nigerians. Many Nigerians who could not speak a Biafran language were deported.